Meg's Food! 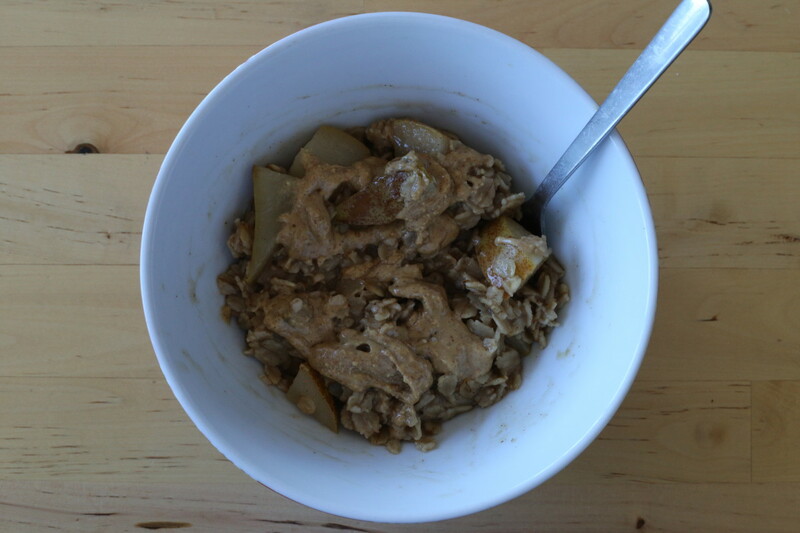 | Chai Pear Oatmeal - Meg's Food! This oatmeal is like a hug in a bowl. It was made as a reward to myself, after working three weeks in a row of 9-5 at one job and Saturday night shifts at my other job. That’s right, three weeks in a row with basically no full day off. Not cool. So the thought of this delicious fancy oatmeal got me through that last night shift. It’s so perfect for cold days like today. 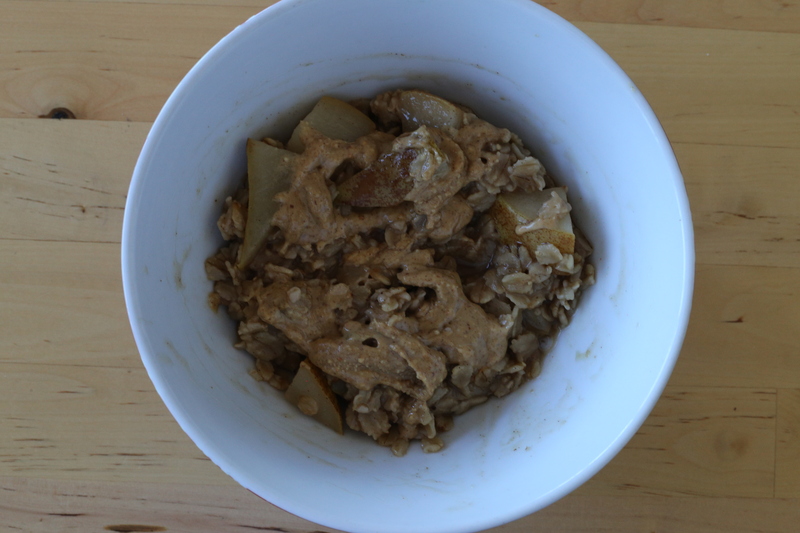 You make the oatmeal with steeped chai tea, so there’s caffeine in there too! (Score). Then saute some pears, and add some ginger and cinnamon for an extra spice hit. 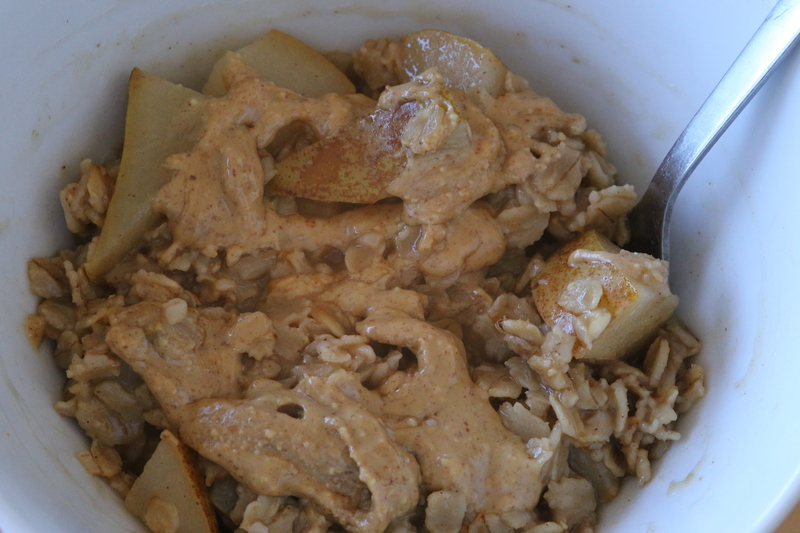 Then top with peanut butter, because peanut butter always makes oatmeal better. And it only takes about 10 minutes to make! So you can have fancy oatmeal every day! Heat butter in a small sauce pan over medium heat. Add chopped pears, and season with cinnamon, ginger, and salt. Saute until nice and caramelized, about 5 minutes. Meanwhile, boil one cup of water and steep the chai tea bag. When pears are nicely caramelized, add oats and stir to toast for a few seconds. Then discard the tea bag and pour in the steeped chai tea. 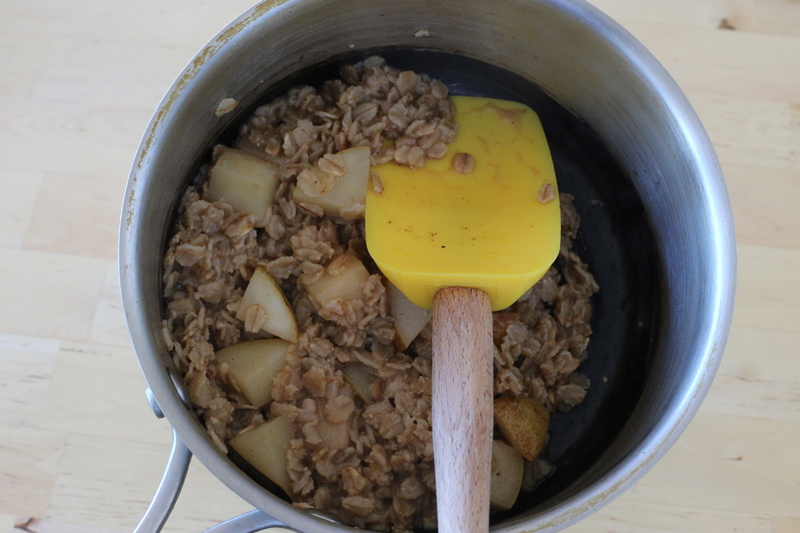 Bring to a simmer and cook, stirring, until the oats absorb the water. Stir in maple syrup and drizzle with peanut butter. This entry was posted in Breakfast and tagged chai, cinnamon, oatmeal, peanut butter, pear, tea. Bookmark the permalink.